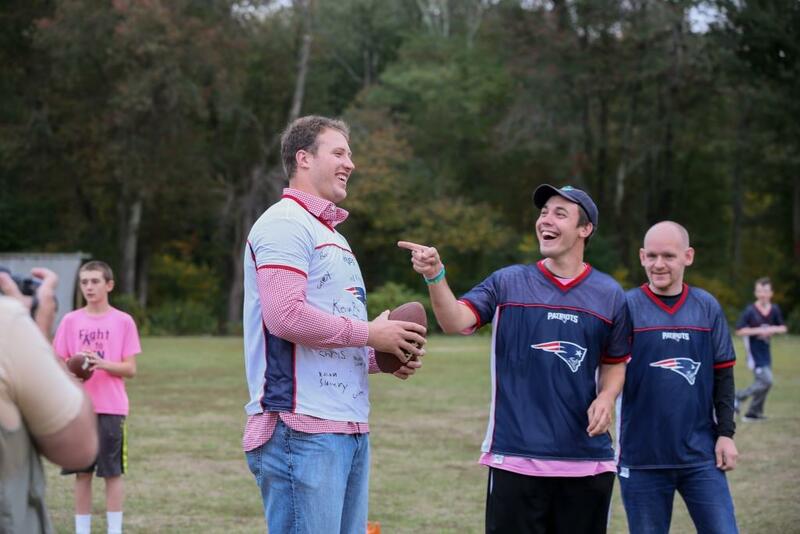 Nate Solder throws the football with the Hockomock Area YMCA’s Unified Flag Football teammates Dennis and Matt after the announcement. The 9th Annual Legends Ball will take place on November 18, 2014 at Lake Pearl Luciano’s in Wrentham, MA. Proceeds from the event will benefit the Hockomock Area YMCA’s Integration Initiative, established in 2004, which provides opportunities for children with special needs to participate in YMCA programs and activities alongside their typically-developing peers. The program improves social skills, builds self-esteem, increases physical activity and independence, and enhances mutual respect among people of all abilities. Since its inception, the Integration Initiative served over 700 families by connecting children with special needs and their families to the community at large by removing barriers to inclusion. Nate, after a distinguished career at the University of Colorado was drafted in the first round of the 2011 NFL draft by the New England Patriots. Throughout his life he has been involved in many community service projects including; coaching youth basketball, serving as a student aide and mentor at Buena Vista Elementary School, volunteering in Guatemala at an orphanage, rebuilding a town in Italy after a devastating earthquake, and in college he was a part of the “Read with the Buffs” and “Buffalo Hugs” programs. 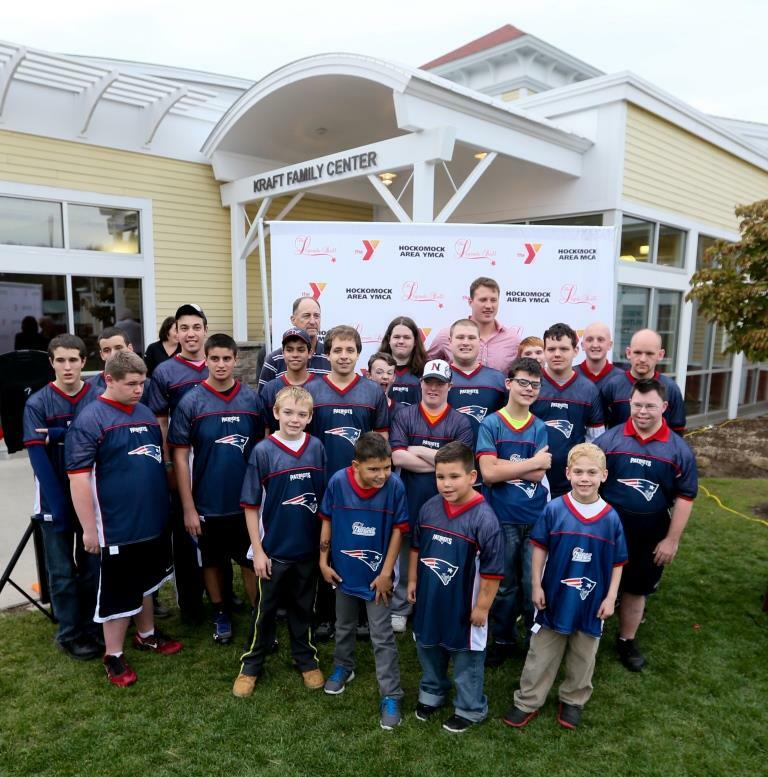 The Hockomock Area YMCA is an organization of men, women, and children sharing a commitment to nurture the potential of kids, promote healthy living, and foster a sense of social responsibility. With over 31,000 members, half under the age of 18, the YMCA is committed to partnering and collaborating with others to create and deliver lasting personal and social change in the 15 communities they are privileged to serve. 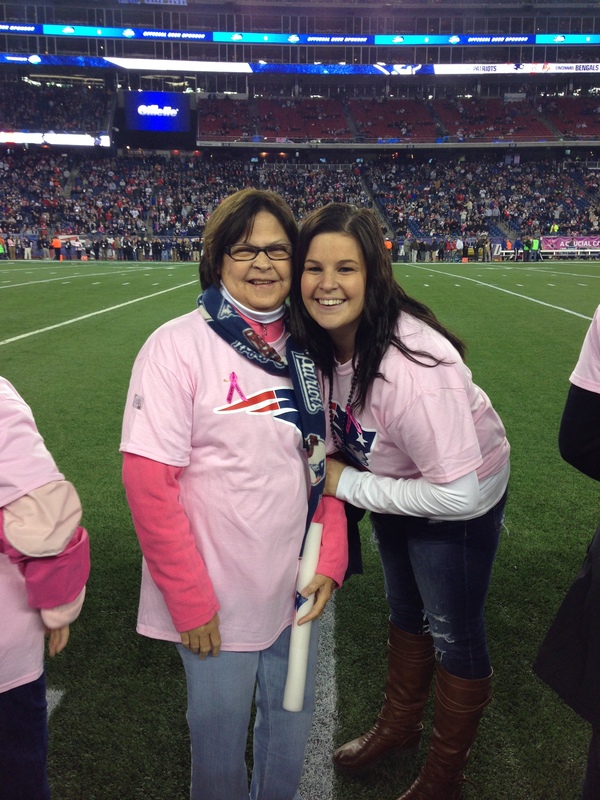 Foxborough resident Patty Noonan (left) with niece, Sarah Giardino, on the Gillette Stadium field on Oct. 5. The Kraft family and New England Patriots honored more than 160 breast cancer survivors along with their caregivers prior to Sunday night’s 43-17 win over the Cincinnati Bengals at Gillette Stadium.